Casa Iberica started in 1975. 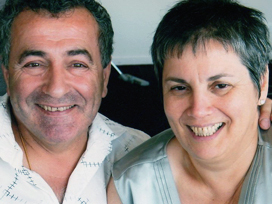 It was opened by Jose & Alice de Sousa. Both of whom migrated from a small island in the middle of the Atlantic ocean called Madeira island (an island that belongs to Portugal). The name Casa Iberica comes from the name Casa meaning house. Iberica meaning Iberian Peninsula. Casa Iberica = the house of Spain and Portugal. Casa Iberica was opened in Johnston Street Fitzroy because Johnston Street was the street of the Spanish Club and the street was well known for catering to the Spanish community. Therefore opening a shop, a delicatessen to the Portuguese, Spanish and Hispanic community seemed like a perfect opportunity. Casa Iberica has always supported and helped the Spanish community and was one of the first businesses to fund and support the first Spanish Fiesta in 1978 and has ever since. 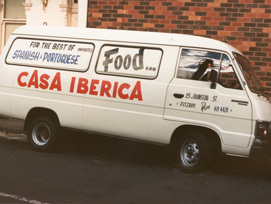 Casa Iberica has always tried and prided itself in not only having products from Spain, Portugal, Central America and South America, many of which Casa Iberica has brought to Australia since the early 1980s, such as the Pimenton, Paella Pans, Terracotta, Polvoron, Mantecados and Turrones especially for Christmas. Frozen Portuguese sardines, dry salted cod (Bacalhau),and Saloio Portuguese olive oil. Although there are many products that for Quarantine reasons we can not bring in from overseas, in such circumstances Casa Iberica has found companies that could make our traditional products here in Australia, such as Pasteis de Nata, Quince Paste, Cabello de Angel, Spanish chorizo, Blood pudding and Empanadas, just to name a few. 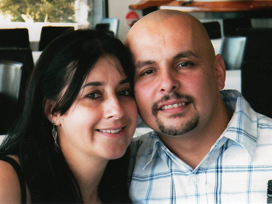 Casa Iberica has always been a family run business and now with Paulo and Mericia the great tradition continues. In true spirit of wanting to serve the community with the widest selection of food Paulo and Mericia have opened a brand new deli with even more authentic food to choose from. With the expansion to a larger premise they can now offer fresh smallgoods produced at this premise in Alphington.